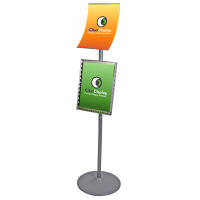 The A4 Brochure Holder is a high quality brochure display board, ideal for lobbies, restaurant entrances and hotels. It comes in A4, with the option of the display being portrait or landscape. 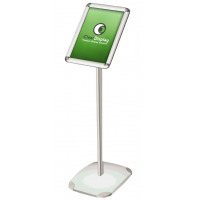 High quality aluminium frame, with decorative base. 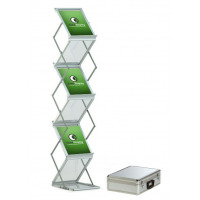 The holder on top is a high quality acyrlic, to hold a good number of A4 brochures. 8 Per carton - call if you require a full carton for extra discounts. 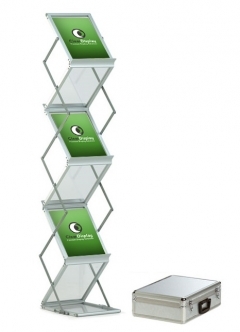 Designed to fit A4 Portrait brochures. 12 Per carton- call for extra discounts if you require a full carton.